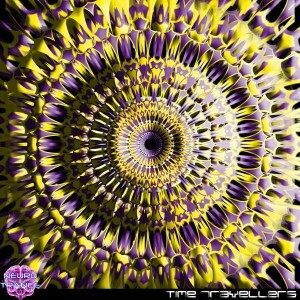 Neurotrance Records presents Time Travellers, a collection filled with memorable moments, powerful raging bass lines, and original compositions in styles ranging from twilight to darkpsy and forest music. Fresh new musicians who have been practicing their styles on their local dance floors across the planet combine with mature artists to create the perfect refreshing dose of life. Compiled and mastered by Erofex with artwork by Heidacraft. MP3 Download | FLAC Download | WAV Download · Download count: 9,291. Is there an iPhone download? It’s my only portal. Very nice and diverse compilation. Surupo – Norrsken is a standout. This is absolutely magnificent track. It makes me really feel like I’m observing the aurora borealis with swedish steel mill taking a nap behind my back. Rock solid sound engineering & clear sounds. Thanks for the eargasm. All the pseudo dark trance producers: listen to this pearl and learn. This is how it is done properly.